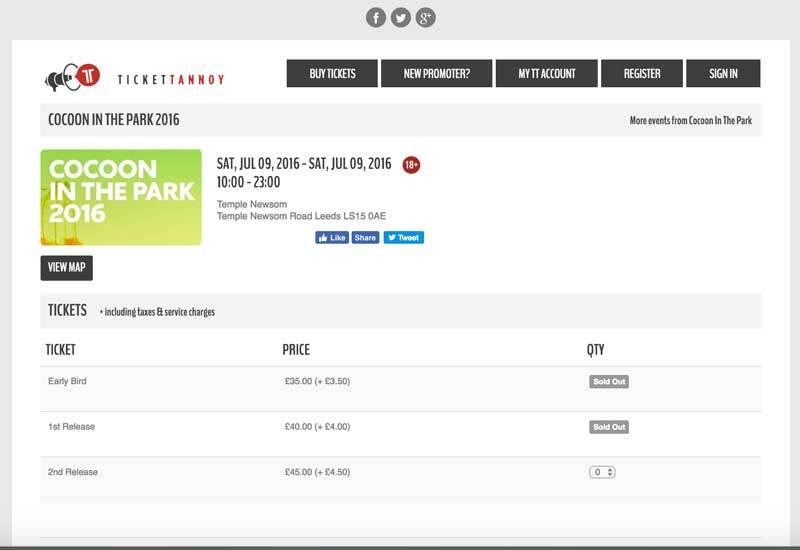 TicketTannoy is a new ticketing engine which sells for all types of dance music events. It's growing fast and taking on new events daily. They needed a responsive, stylish site which reflected the industry and their ethos. With a multitude of ticketing engines out there, what makes tickettannoy.com stand out from the rest? 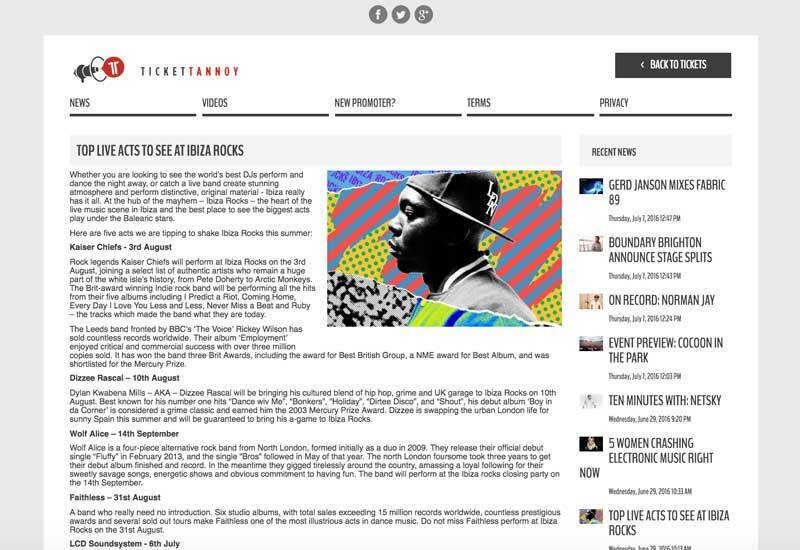 It has fully brand-able ticket shops for promoters selling tickets. It offers social incentives (discounts when shared on Facebook or Tweeted). It has a complex promotional system allowing offers including ticket bundles as well as the classic 'Buy 1 get 1 free'. It's a 360 system handling putting the event on sale, selling even during high surge periods and then managing the logistics on the door with a fully fledged check-in system.